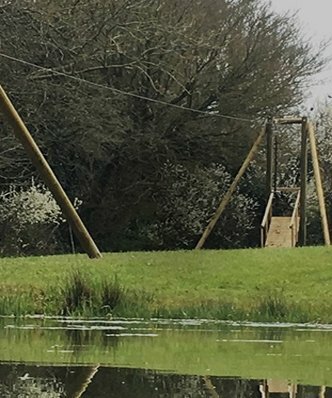 A garden zip wire is fantastic fun, providing hours and hours of play for kids of all ages; even for those who used to be kids a few years ago! Until recently, they were mainly found in public parks and playgrounds. But now if you are fortunate to have a garden large enough for a zip wire and you want some help installing one, then we should talk. 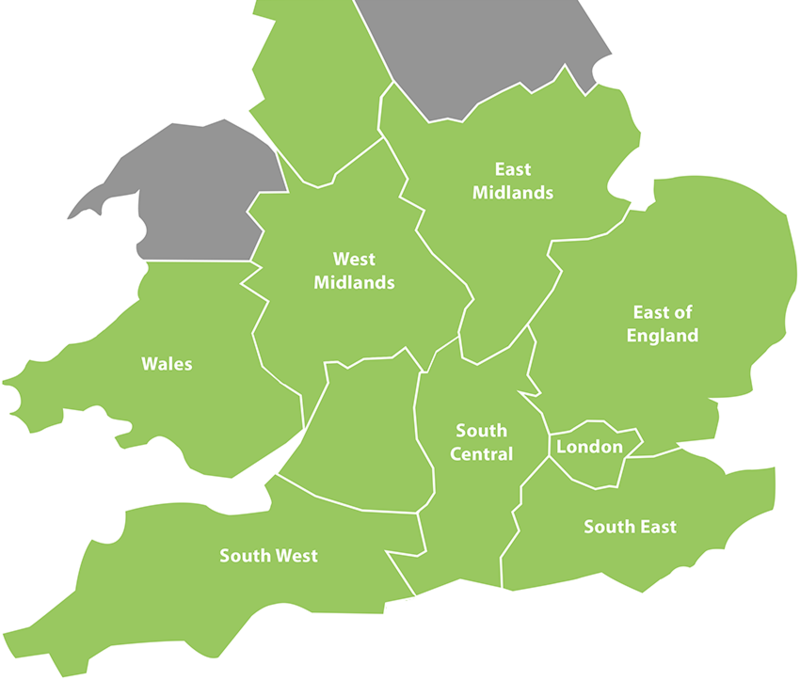 We are one of the few companies in the UK who will visit, measure up and install a zip wire in your garden. To your specification and convenience. Not only that, but we can adapt our installation to suit your budget, family and most importantly, number of trees! Most zip wires need a platform to set off from and we can create the perfect launchpad. Whether we make supporting towers out of time, or use strong trees in your garden, a zip wire is always possible if you have the space. We always use a commercially graded trolley and cable, so that you know your zip wire will have longevity to last your children for many, many years. They all come with button for a safe and comfortable ride. If we supply, the towers will come without concrete. The installation fee includes about eight cubic metres of concrete as and where needed. 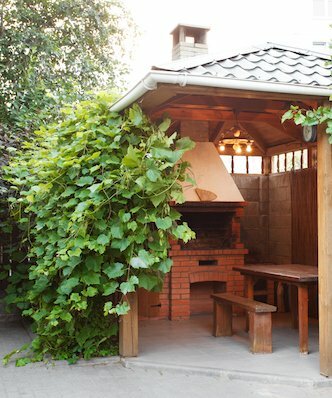 All our timber is sourced from sustainable suppliers, is pre-treated softwood primed for outdoor use and guaranteed for 10 years. 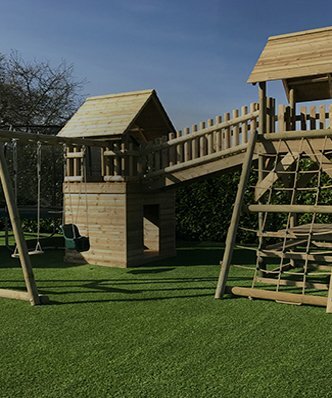 This climbing frame is constructed with Round timber. Any questions? Let us know what you’re looking for, or give us the opportunity to inspire. Call during working hours, or fill out the form and let’s talk. Thank you so much for turning an unloved tree house into an adventurous play area for our children. We got fantastic advice and had a lovely considerate build team. We are delighted and our children love it. The younger of our two grandsons had his 8th birthday party. 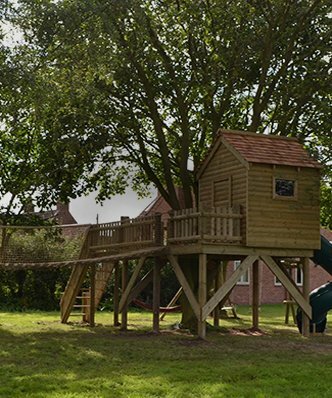 The tree house had a thorough test by 16 children between aged 7 and 11. It has survived with no ill effects, being agreed to be ‘cool’ and a good thing. Thanks for an amazing job. Great job building our climbing frame – friendly people, easy to deal with and flexible on the design. Highly recommend! It looks fantastic and we are really pleased. The boys spent the whole day on it yesterday and refused to stop even for the rain. The big question now is whether we can ever persuade them to leave the garden to do something else. Thank you for making the most of our small, sloping garden. The design makes the most of the space available, is great for all kinds of play, we even use it for homework now! 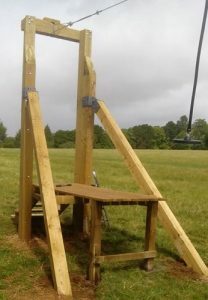 The climbing frame and swings are great and we are really pleased with it. It is getting good use already. Thanks for a great, professional job. The kids are delighted. We’re very pleased, thank you. Our full, end-to-end design and build service will create your perfect oasis of fun. Normal installation time 4-6 weeks depending on time of year.